Plantation Shutters offer the ultimate look and functionality. 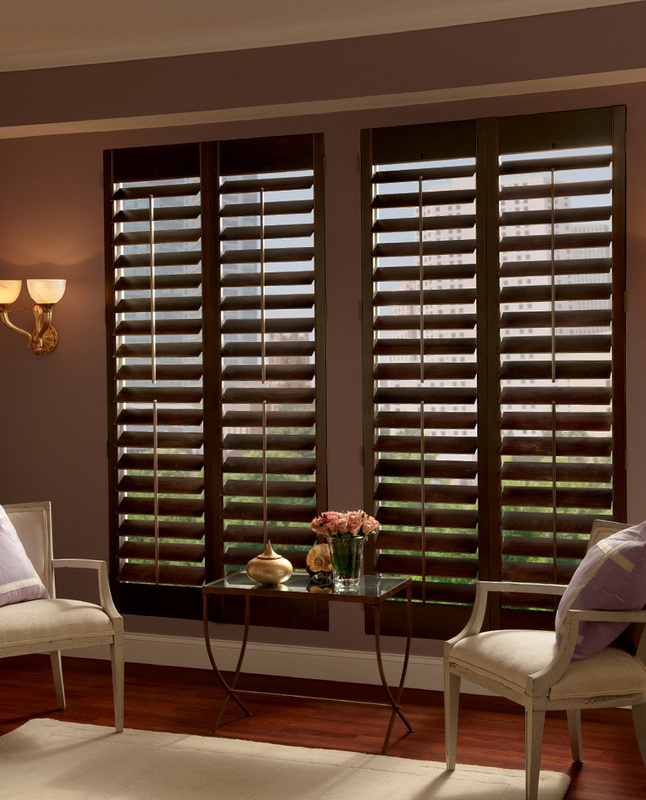 Shutters are custom color matched right to your trim color so they look like they were built with the house. 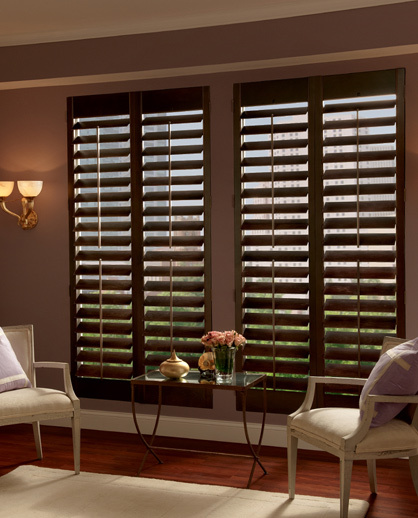 Wide louvered shutters offer the best view out your windows and enhance every decor. Shutters are an excellent choice for any room in the house. 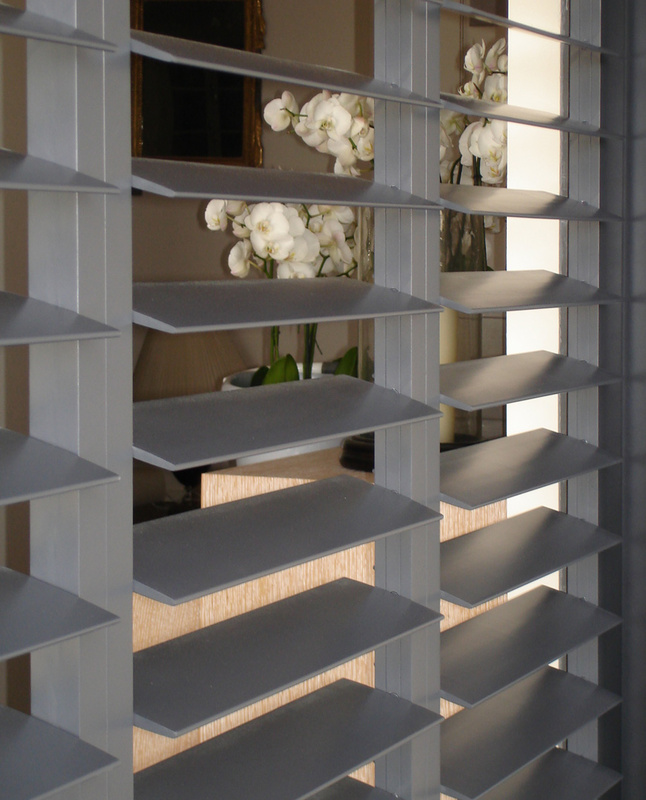 Ideal for bedrooms as the louvers close tightly offering room darkening and insulation from the hot or cold windows. Plantation Shutters look as good from the outside as they do from the inside. Just drive down the street and you can easily spot homes with shutters installed. The look and functionality cannot be beat. They come in several louver sizes from 2 1/2" to 4 1/2" and the finish is custom. Whether you want stain or paint, they can match your trim nearly perfectly. 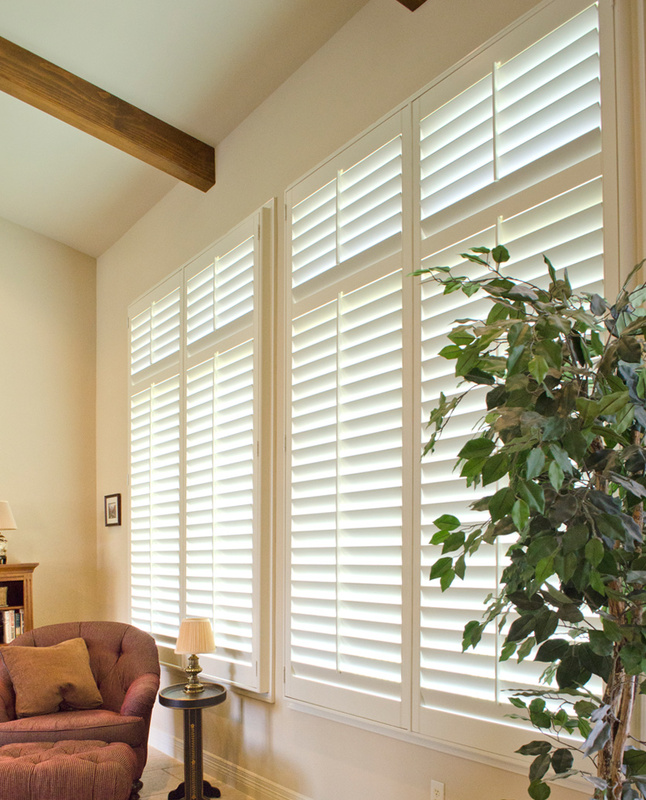 Shutters must be planned and measured carefully and installed professionally. 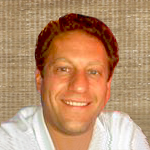 Let an expert from The Blind Guys come out for a free consultation and quote.